Terrestrial laser scanning (TLS) technology is a powerful tool for assessing tree growth based on time series analysis, as it allows a level of scrutiny not achievable using established destructive techniques. We applied TLS technology to 21 wild cherry trees grown in a research plot near Breisach (southern Germany) in order to build quantitative structure models (QSMs) for each tree. Scans were carried out over three subsequent years (2012-2014), so that three QSMs per each tree were constructed. Using the above approach, we were able to assess the annual growth of the individual wild cherry trees in terms of diameter and height, stem and branch volume, and the merchantable timber fraction. In addition, the growth of single branches of sample trees was detected and quantified. The availability of QSMs based on TLS-derived data allowed the accurate determination of crown length and width, as well as the volume reduction as the result of the tree pruning applied after the first scan (2012). The aboveground biomass (AGB) was assessed for each tree based on the QSM-derived volume and published wood density values for wild cherry, and then compared with AGB values estimated with standard allometric methods, obtaining a very high correlation (r2adj = 0.941). We concluded that the proposed approach is an effective non-destructive technique to accurately assess the increase of tree biomass, and discuss its future application in the forestry sector. Processing tree point clouds using Gaussian Mixture Models. In: Proceedings of the “ISPRS Workshop Laser Scanning 2013” (Scaioni M, Lindenbergh S, Oude Elberink S, Schneider D, Pirotti F eds). Antalya (Turkey) 11-13 Nov 2013. ISPRS, pp. 43-48. Modeling forest trees and stands. Springer, Dordrecht, Heidelberg, New York, London, pp. 458. Nondestructive estimates of above-ground biomass using terrestrial laser scanning. Methods in Ecology and Evolution 6: 198-208. Towards a worldwide wood economics spectrum. Ecology Letters 12 (4): 351-366. A practical approach for extracting tree models in forest environments based on equirectangular projections of terrestrial laser scans. Remote Sensing 5: 5424-5448. Residual biomass calculation from individual tree architecture using terrestrial laser scanner and ground-level measurements. Computers and Electronics in Agriculture 93: 90-97. Random sample consensus: a paradigm for model fitting with applications to image analysis and automated cartography. Communications of the ACM 24: 381-395. 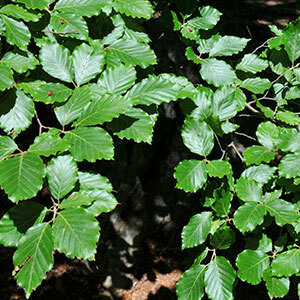 Growing broadleaves: silvicultural guidelines for ash, sycamore, wild cherry, beech and oak in Ireland. COFORD, Dublin, pp. 144. Change detection of tree biomass with terrestrial laser scanning and quantitative structure modelling. Remote Sensing 6: 3906-3922. Estimation of the timber quality of Scots pine with terrestrial laser scanning. Forests 5: 1879. A new approach to assessing tree stem quality characteristics using terrestrial laser scans. Silva Fennica 47 (5): article id 1071. Detecting changes in forest structure over time with bi-temporal terrestrial laser scanning data. ISPRS International Journal of Geo-Information 1: 242-255. Automated stem curve measurement using terrestrial laser scanning. IEEE Transactions on Geoscience and Remote Sensing 52: 1739-1748. Terrestrial laser scanning in forest inventories. Theme issue: “State-of-the-art in photogrammetry, remote sensing and spatial information science” 115: 63-77. Structure and function of an age series of poplar plantationsin central Himalaya: I. Dry matter dynamics. Annals of Botany 76 (2): 191-199. Crown modeling by terrestrial laser scanning as an approach to assess the effect of aboveground intra- and interspecific competition on tree growth. Forest Ecology and Management 310: 275-288. Field characterization of olive (Olea europaea L.) tree crown architecture using terrestrial laser scanning data. Agricultural and Forest Meteorology 151: 204-214. Above ground leafless woody biomass and nutrient content within different compartments of a P. maximowicii × P. trichocarpa poplar clone. Forests 4: 471-487. Above-ground woody biomass allocation and within tree carbon and nutrient distribution of wild cherry (Prunus avium L.) - a case study. Forest Ecosystems 3: 1-15. Terrestrial laser scanning for plot-scale forest measurement. Current Forestry Reports 1: 239-251. Automatic reconstruction of single trees from terrestrial laser scan data. In: Proceedings of the 20th ISPRS Congress “Geo-Imagery Bridging Continents” (Altan MO ed). Istanbul (Turkey) 12-23 Jul 2004. IASPR, vol.XXXV, pp. 114-119. Grundlagen der Waldwachstumsforschung [Principles of forest growth research]. Parey, Berlin, Germany, pp. 23. The silviculture and yield of wild cherry. Forestry Commission bulletin, vol 75. Her Majesty’s Stationery Office, London, UK, pp. 23. Forest structural assessment using remote sensing technologies: an overview of the current state of the art. Southern Hemisphere Forestry Journal 69: 183-203. 3D is here: Point Cloud Library (PCL). In: International Conference on Robotics and Automation (ICRA). Shanghai (China) 9-13 May 2011. IEEE Xplore Digital Library, pp. 1-4. Factors affecting branch wound occlusion and associated decay following pruning - a case study with wild cherry (Prunus avium L.). Annals of Silvicultural Research 40 (2): 16-22. Impact of artificial pruning on growth and secondary shoot development of wild cherry (Prunus avium L.). Forest Ecology and Management 261: 764-769. Multi-temporal terrestrial laser scanning for modeling tree biomass change. Forest Ecology and Management 318: 304-317. Three-dimensional reconstruction of stems for assessment of taper, sweep and lean based on laser scanning of standing trees. Scandinavian Journal of Forest Research: 571-581. Results of a questionnaire on management of valuable broadleaved forests in Europe. In: “Valuable broadleaved forests in Europe” (Spiecker H, Hein S, Makkonen-Spiecker K, Thies M eds). Brill, Leiden, Netherlands and Boston, MS, USA, pp. 27-42. Forest mensuration (1st edn). Cuvillier, Göttingen, Germany, pp. 418. Assessment of standing wood and fiber quality using ground and airborne laser scanning: A review. Forest Ecology and Management 261: 1467-1478. Analysis of wood density profiles of tree stems: incorporating vertical variations to optimize wood sampling strategies for density and biomass estimations. Trees 29: 551-561. Data from: “Towards a worldwide wood economics spectrum”. Dryad Digital Repository, Website.